Last year, post-punk act Ought impressed us not once but twice with their one-two punch of More Than Any Other Day and its follow-up EP Once More with Feeling. It'd be understandable if they wanted to slow down the pace a little, but instead the group have announced plans for yet another release. 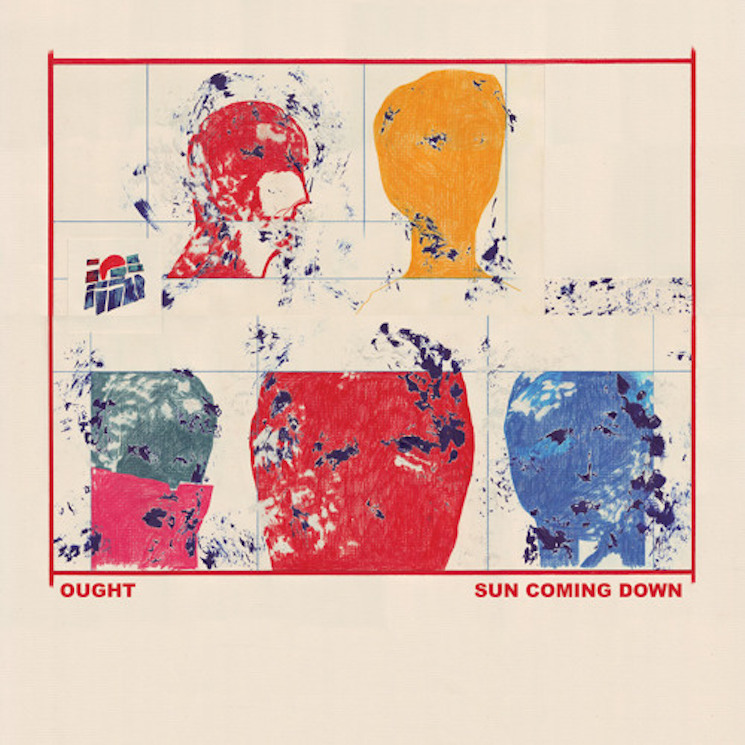 Ought's next album is called Sun Coming Down and was recorded earlier this year at Hotel2Tango in Montreal. Ought resists facile primitivism and overhyped dynamics in equal measure, keeping things hermetic but never airless, ascetic but never dispassionate, literate but never prolix. The band's steady and subtle charms don't make them the cool kids or the iconoclastic freaks — just a satisfyingly unrefined and substantive rock band that eschews indulgence or aesthetic bandwagoneering to seek a humble, thoughtful corner from which to articulate a position within and contribute meaningfully to a 40-year continuum of indie, punk and DIY tradition. Constellation Records will issue Sun Coming Down on September 18. The album's lead single "Beautiful Blue Sky" can be streamed below.